The 3 Questions That Can Solve Almost ANY Parenting Problem. I thought I’d share with you a technique that I teach the parents that I work with in my Parenting Club, because it’s brilliant for solving problems. This Positive Parenting Solution is only part of my foolproof roadmap when you hit a problem. Sometimes it’s a good idea to take a problem out of your head & put it on paper. Getting problems out of your head, where they spin, spiral & swirl around & writing them down on paper, can really help you find an answer to your parenting problem. Get a piece of paper & draw a line down the middle of it. On one side jot down the problem. 1. What could I do? Brainstorm & just write what comes into your head. Some will be brilliant ideas, some will be wacky but by following the process, solutions start to pop into your head. 2. What could I read, research or look for that could help? If you ‘search & research’ you will find some answers to your problem online, in a magazine or in a book. 3. Who could I ask? Is there someone around me who might have the answer to my problem? Try not to ask first. Try to solve the problem yourself. We all like to help people who like to help themselves. 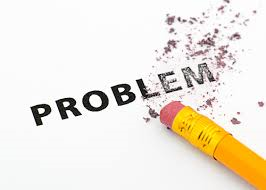 The reason you need to try & solve it on your own is that you need the investment in the emotional & mental muscle of trying to work through your problem by yourself. You need the discipline of owning the solution. You need the rhythm of learning. The rhythm of trying. We live in a busy, hectic world of instant answers & instant gratification. Learning to take ownership of your problem & to see if you can solve it first is important. If you’d like to learn more of my techniques & strategies for being a more confident parent simply Join my Parenting Club NOW! 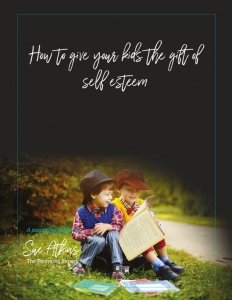 The most important gift you can give your child is the gift of self esteem. Self-esteem is how you rate yourself deep down. It is a belief and a confidence in your own ability and value. However, where does this ability come from? I believe it initially comes from you – the actions that you take and the love and encouragement you give. Here’s a little taster of my Positive Parenting Talk in India this week ……. what do you think ? Is that true about your family ? If you really loved me I wouldn’t have to ask !